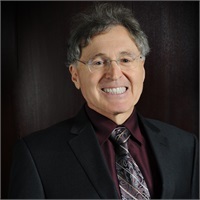 Dean Tellone | Tellone Financial Services, Inc.
Dean C. Tellone, the President and CEO, founded Tellone Management Group, Inc., in 1987 in Anaheim Hills, California. Mr. Tellone was born in Southern California and has resided in Anaheim Hills for over 40 years. His formal education includes under-graduate studies at the University of Arizona where he graduated in 1971 with a degree in Business Administration. Subsequent to his undergraduate degree, he pursued further study at Cal Poly Pomona where, in 1987, he received his M.B.A.
Dean passed the Series 2 ‑ Non Member General Securities Exam in 1985. He also received his CFP® designation in 1988. In April, 1991, he completed the testing and prerequisites to become an Enrolled Agent (EA). Dean started Tellone Financial Services, Inc., in 1975, and has directed the company and its affiliates over the course of the years to a successful wealth management corporation with over $350 million in assets under management. His company is noted for its integrity, reliability, and service.